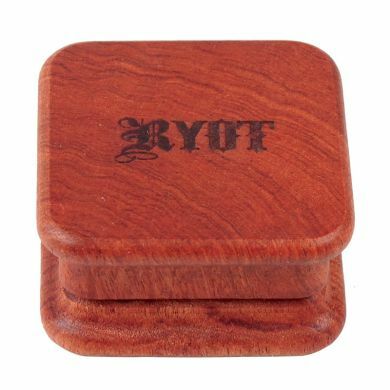 The RYOT 1905 Rosewood Square Blend Grinder is made out of an appealing aged and cured rosewood, giving it the natural beauty any aluminum grinder simply won't provide. This piece is built with exceptional craftsmanship, featuring a strong wooden build and impaled stainless steel pins that are both guaranteed to stand tall against the test of time. Another key component is it's ergonomic design which gives the most comfortable grinding experience possible by providing an excellent grip. This grinder also has a dependable magnetic closure, guaranteeing to keep all of your material in place whether at home or out on the go. 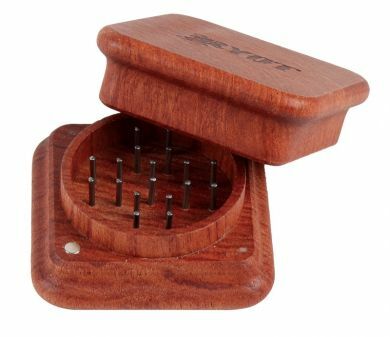 If you're in the market for a quality wooden blend grinder and want something that is going to perform like new each and everytime, then this piece is certainly the best choice to add to your collection.